- during the first stage of the tournament, you can use 1 single bey, and you would attempt to win 3 points to complete the match. - Once you reach the final stage, each player builds a deck for that specific opponent, and wins when you reach 5 points. Also another question: For the first stage of the tournament, are you able to change your combination for each opponent? 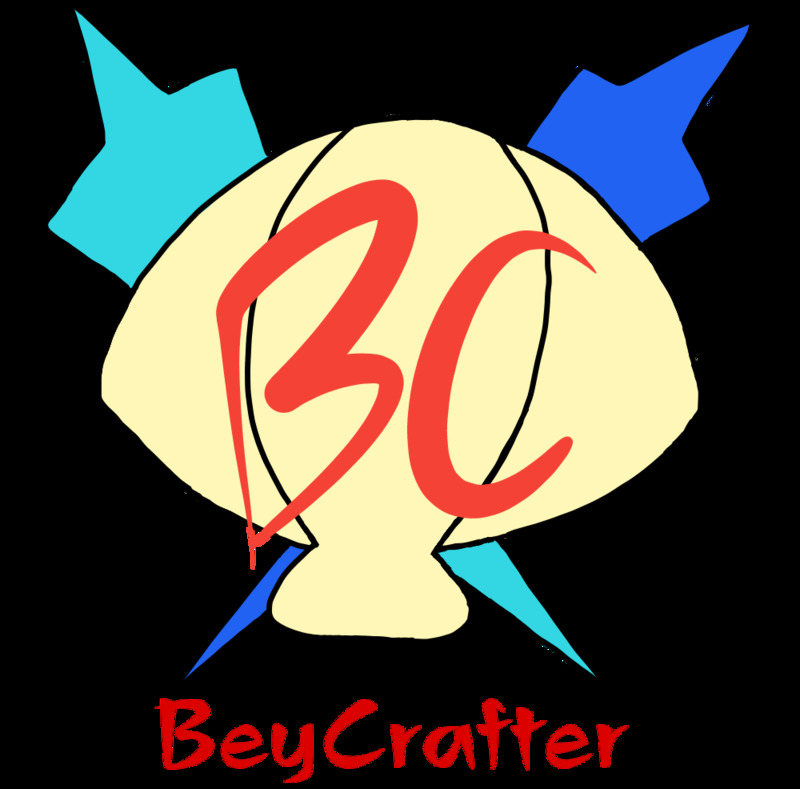 Or do you have to stick with one bey throughout the first stage? It is also not clear that you are able to change decks for each opponent. This might be because I am coming from a Trading Card Game background where we have to turn in decklists at the start, and cannot change the deck throughout the whole tournament. If you can change the document to incorporate those changes, that would be greatly appreciated! also, are Spryzen Requiem and Garuda G3 still banned?? I couldn't find it anywhere on the list. gxpt2000, yes, in first stage, you use only one beyblade and you need 3 points to win. And final stage you build Deck where is 3 beyblade and you need 5 points to win. In first stage you can use different beyblade each opponent. Another question I have is regarding mode changing. I just need some more clarification on those rules, both for future reference and the rule book. (Jan. 19, 2019 6:43 AM)gxpt2000 Wrote: Another question I have is regarding mode changing. Legend Spriggan Is Allowed to change Spin- But once a battle. When You announce your beyblade, You are not able to switch anything after that. There were Sr combos in it's time, a lot, it spammed. Frames are part of combo, you cannot change them after announcing your combo. Kinda obligatory comment to mention the rules appendix needs to be updated to include rulings brought about by Dead Phoenix (Dead armor clause, using Dead Armor on rP, and Revive Armor on dP). Though a good question I have is why are you only allowed to have 1 launcher per spin direction? I'd like to be allowed to use a string launcher for my non-attack beys while being able to use a Sword launcher for my attack beys. (Jan. 30, 2019 9:53 PM)AirKingNeo Wrote: Kinda obligatory comment to mention the rules appendix needs to be updated to include rulings brought about by Dead Phoenix (Dead armor clause, using Dead Armor on rP, and Revive Armor on dP). Just like Beyblade selection, we also believe launcher selection should be strategic and limited. If you're comfortable with one particular launcher for one type of Beyblade and are comfortable with another for a different Beyblade, you'll have to carefully consider what is most valuable to you when constructing your deck just as you do when you're selecting what combos to include. Although, the same can be applied for regular battles too if you're selecting a Beyblade with multiple modes (like Zeta, Trans, etc). That, and it also keeps things simple. We don't want people fumbling around with six launchers throughout a match just because they feel like switching. In Organizer's Guide, Winning Combos thread is old. If Committee can replace this to new Winning Combos thread? (Feb. 23, 2019 6:45 PM)ks123 Wrote: In Organizer's Guide, Winning Combos thread is old. If Committee can replace this to new Winning Combos thread? Thanks for catching that! Fixed. Is there a format where you can use special stadiums like the musou bey stadium? (Feb. 25, 2019 9:03 AM)Sumarbrander12 Wrote: Is there a format where you can use special stadiums like the musou bey stadium? It's an interesting idea, but you said it yourself: it barely makes a difference. And that applies to not only performance, but visually too. I feel like if we tried to implement this rule there would be a high chance that a Hell Salamander in the wrong mode would be missed sometimes given how similar they look. It's not worth it given that risk. If you can add Europa to fees in Organizer's Guide, Kei. Standard entry fee is 4€, Passport is 13€. (Feb. 26, 2019 6:29 PM)ks123 Wrote: If you can add Europa to fees in Organizer's Guide, @[Kei]. Standard entry fee is 4€, Passport is 13€. In public tournament archive, why tournaments not moved to archives and why in hosts tab use User IDs, not usernames? (Mar. 05, 2019 7:22 AM)ks123 Wrote: In public tournament archive, why tournaments not moved to archives and why in hosts tab use User IDs, not usernames? Because some of those tournaments may not be fully processed yet. Some could be moved, but we're probably going to leave them for now until we're caught up until maybe the end of 2018. Hosts tab was using User IDs because a long time ago username changes were possible and it was easier to keep track of this information that way as User IDs could never change. But last tournaments in archives is 2016. Kei, in new Need-To-Know sheet template, you should add rules QR code. (Mar. 10, 2019 3:39 PM)ks123 Wrote: @[Kei], in new Need-To-Know sheet template, you should add rules QR code. That’s a good idea. I never really thought of it since QR Codes aren’t really that popular here in Canada. I’ll consider adding it to the template, but space is also at a premium in that sheet so we’ll see. I do think that typing the bit.ly link is easy enough, though. Of course, other Organizers wishing to use it can certainly modify the template themselves to include a QR Code as well if it makes sense for their region. I have a question! Is Legend Spryzen S3’s Spin direction allowed to be changed in deck format? Matches in Deck Format follow the same rules as matches in first stage as far as "Parts with Multiple Modes" mode shifting is concerned. Sr3 and choS are forbidden from spin changing during matches. lS has no such restriction. If they want to add that restriction to the Burst Standard format rules, they can. But until that time, lS may change spin direction once per match. Quote: "Judges must inspect the winning Beyblade to ensure that it is not in a position where it has skipped all of its teeth and should have bursted. If this is the case the result of the round is reversed and the “losing” Beyblade is then considered the winner for the round." On the above rule: Does it imply the Bey won't burst at all? So I can grab it out of the Stadium while spinning (which may cause a normal Bey to burst) or do I have to wait till it stops spinning? Would the opponent/loser get a Burst Finish? If a Bey hits another into the Stadium hole/wall and it Bursts when it hits the wall, it's a KO first? Contact-less points (Burst/KO) are only if there is no contact at all during the round, correct? The Bey is KO when there is no more stadium below it right? But does it have to be completely out or touch the wall or something like that? Finally are all those Hasbro launcher combinations Tournament legal? Thanks for the sig, Tri.